I am so proud of the burgeoning home and lifestyle brand these intrepid entrepreneurs are building. Below are samples of some of my favourite picks from their new collections. I hope you will find them as beautiful as I do. THE BELLVALE COLLECTION: Beekman 1802 has created four new bedding collections, each one based on elements of a historic American town. 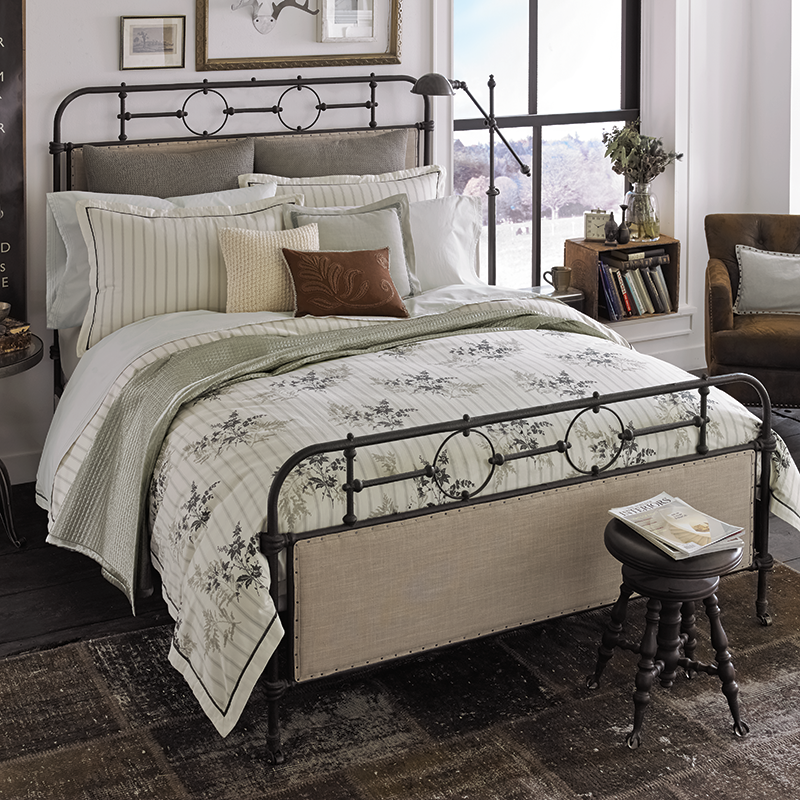 Above is the Bellvale Collection, shown on the Beekman 1802 Hollywood Hotel bed, which is upholstered in linen. Bellvale, NY, was part of a land grant from Queen Anne in 1703. New world settlers were drawn to the area because of the abundant timber, game and water power. 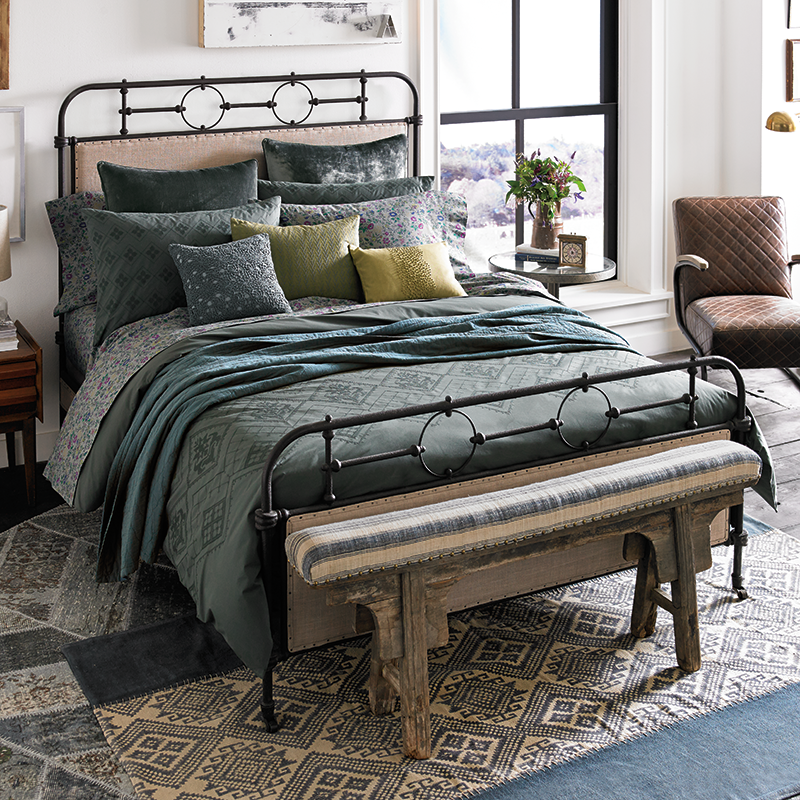 The Bellvale bedding collection is inspired by the currents of that creek and all of the creativity and craftsmanship that it powered. THE FULTON COLLECTION: The industrial nature of Fulton, NY, led to a very stable workforce for many years. In fact, during the Great Depression of the early 1930s, the New York Sun newspaper wrote a lengthy article featuring Fulton, its residents and the strong local economy. It was headlined as, "Fulton, the City the Great Depression Missed." That type of work-ethic and the natural colorful beauty of New York State inspired the Fulton bedding line, shown here on the Beekman 1802 Hotel Adler Bed. THE SANGERFIELD COLLECTION: In the mid-1800s, the development of railway service through the town of Sangerfield made the area a major shipping point for all kinds of manufacturing, including textiles. It’s a town that has long survived on its own steam (literally), and it has inspired the varied and eclectically beautiful elements making up the Sangerfield bedding collection. THE STILLWATER COLLECTION: During the Revolutionary War, the Battle of Stillwater was a turning point toward American independence. Independent spirit. Free spirit. American spirit. Those are the things that inspire our Stillwater bed designs. BEEKMAN 1802 FURNITURE: The new furniture collection is also a marvel and there is scarcely enough space here to showcase all of my favourite pieces from the line, which includes bedroom, living- and dining-room pieces (beds, cabinets, drawer units, tables, sofas, chairs), as well as rugs and lighting. Please visit their online furniture gallery to see all of their amazing new designs. 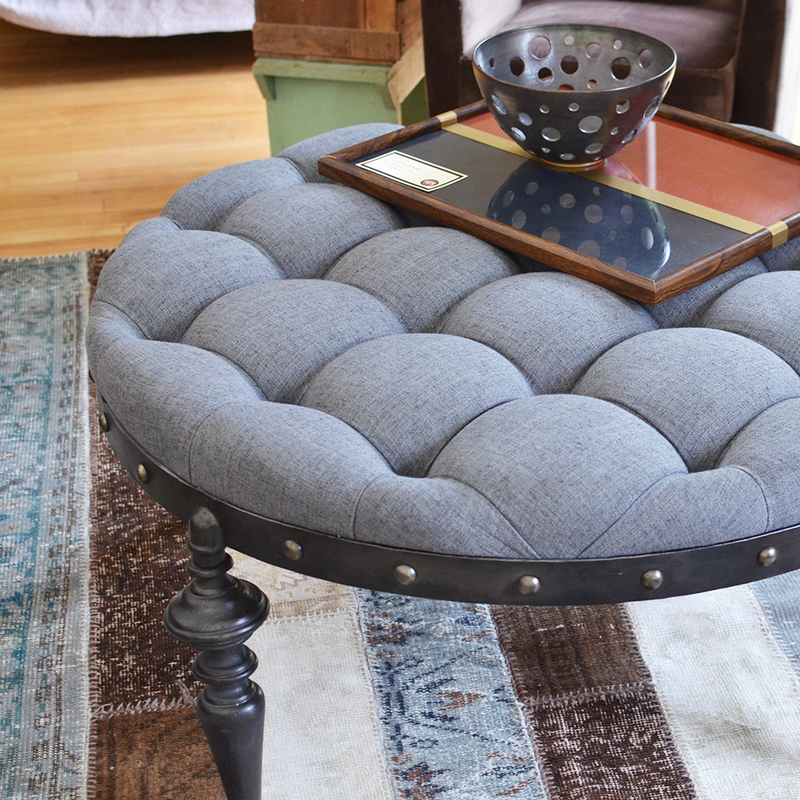 If you happen to be in Sharon Springs, New York, where Beekman 1802 is headquartered, you can visit the Beekman 1802 Merchantile to see the pieces yourself in their new furniture emporium, located above their shop on Main Street. Beautiful bedding collection love the fabrics and colours. I checked their online furniture gallery, beautiful design. I love their Patchwork Rugs collection. Very inspiring.